Since President Gibson sent out a very brief email announcing her decision to take down the art installation in the Lech Walesa Hall on Aug. 17, she has made no further comment. “At this time, the president doesn’t have anything more to add,” Director of Strategic Communications Mike Hines said to the Independent via email on Sept. 5. 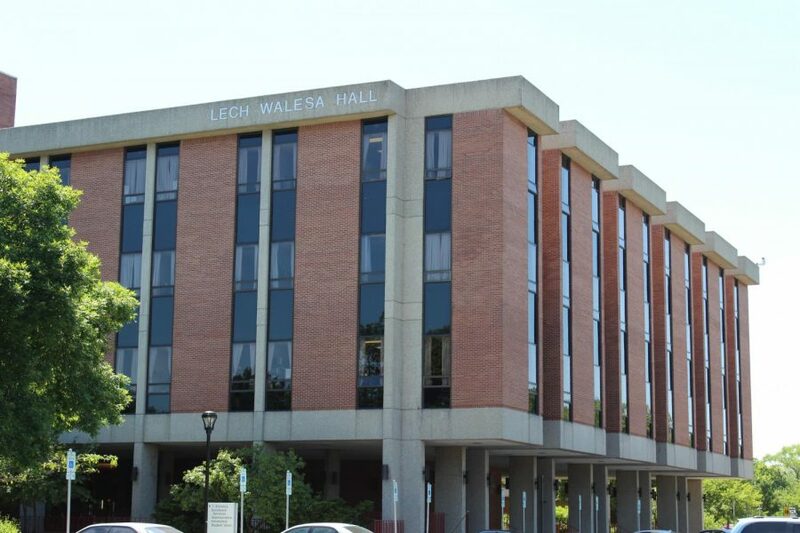 During a Student Government Association (SGA) meeting on Sept. 4, the Lech Walesa controversy was not on the agenda. The Independent highlighted the situation to SGA during the audience participation portion, which was at the end of the hour-and-a-half meeting. Ross continued to offer an explanation for Gibson’s decision to shut down the art installation. The art installation was a slideshow portraying the various forms of art created by the NEIU community. Students expressed how they felt after hearing Lech Walesa’s comments against the LGBTQ+ community and minority groups in different forms of art. The art installation was placed into the University’s archives. The Independent emailed the Board of Trustees regarding the Lech Walesa Hall Controversy on Sept. 4. “I will share it with the Chair and get back with you once I hear back from him,’ Karl Voigt, assistant secretary to the Board of Trustees, said via email to the Independent on Sept. 5. Look out for the follow-up article on the Lech Walesa Controversy on Sept. 25.